Is Team Arrow going to save Star City in 2040 or what does Felicity have something else planned? Here's what happened tonight on "Star City 2040." As always, full spoilers for tonight's episode of Arrow follow. Felicity gives birth to Mia in the cabin we saw at the end of the last episode and we see a montage of her growing. As she ages, Mia is trained in hand-to-hand combat by Nyssa Al Ghul. Sometime later, Mia is messing around at home and accidentally uncovers a secret room in their house with Felicity's hi-tech computers and files about Rene and company. Mia questions her mother about the new discovery and Felicity reveals she's been working on exposing a corrupt company in the glades. Mia is upset her mother has gone back to her vigilantism and storms off. Later that night, Felicity finds Mia's note which says she's run away to Star City. Time skips ahead a bit to Mia and William working on sneaking into the Glades. They track down Felicity's last known location to the headquarters of Galaxy One and once there, they nearly get busted — except they're saved by Connor Hawke, who's undercover. William and Mia manage to get a meeting with the Galaxy One CEO. While William talks, Mia's able to sneak around his office and get a DNA sample they can replicate to use to access areas around the building locked down. They fight a group of guards in a top-secret holding cell and after they get in, they find out that Felicity is, in fact, still alive. Felicity is upset that they arrived, revealing that the coordinates on the tape weren't meant to lead towards her, but a stockpile of bombs in the Galaxy One building. Felicity and Wiliam leave to try finding the bombs and they meet up with Dinah, Roy, and Zoe. The group manages to get to the holding room of the bombs, only to find it empty. Rene walks in and tells the group that they're right and the company plans on bombing Star City later in the night. 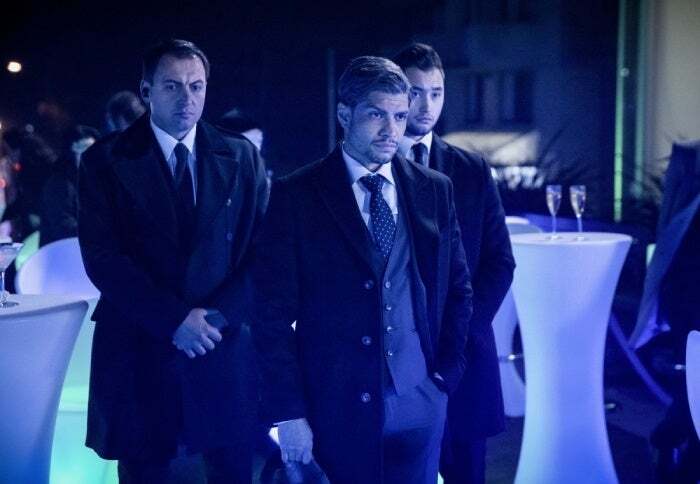 The group descends upon the Star City fireworks festival and after an initial struggle, they're able to locate and subsequently deactivate the bombs. Arrow airs Mondays starting at 8/7 p.m. Central on The CW.